“What does publication design cost?” is a question we get a lot. 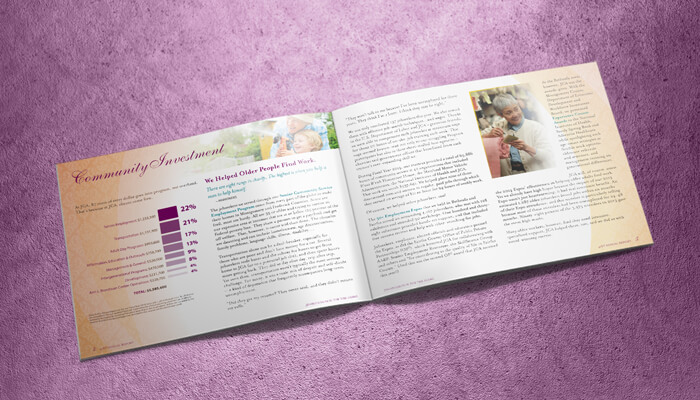 The investment for the design of an annual report, book, brochure, media kit, magazine or newsletter varies greatly based on the content, page count and complexity. There truly is no standard for each type of publication. 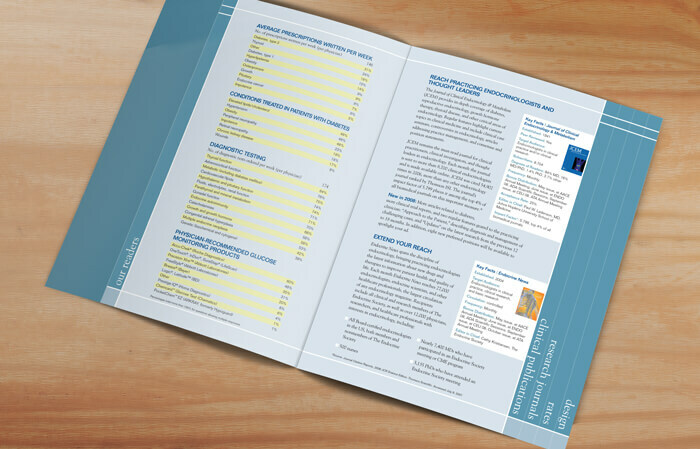 The design of a 12-page brochure could actually be more complicated than that of a 48-page book, for example. There are many factors—some monetary in nature and some not—that need to be considered. How many design options are you requesting to see initially? Do you have brand guidelines? If so, we will need to review them. Do we need to create entirely new concepts (as opposed to going off the look of any existing brand templates)? Will the publication have a die cut, an atypical or complicated fold, or stepped pages (see below)? How many pages are in your document? Because everyone uses different margins, font sizes, etc., 250 words is considered a typical page. Do you need help figuring out what to include in the publication? Do you need assistance with writing, editing or proofreading, or will you be providing copy that has already been written, edited and proofread? Will you be supplying a Word document or do we need to get the copy from multiple places? Does the text file make use of paragraph and character styles throughout the document? Do you clearly note (with a comment in the document or a paragraph style) what is a heading versus a subheading or where a sidebar begins and ends? Are there multiple sections and chapters? Will there be any hyperlinks or links to other parts of the document? Are there are footnotes or endnotes? Will the publication need to be in any other languages? Are there any mathematical equations? Will an index need to be created? Do we need to find stock photos or illustrations, or procure a photographer or illustrator for custom work? Is there any room in the budget for buying images? If you are providing images, are they named descriptively so we can easily tell what they are? Will we need to retouch any images? Do we need to create any charts, graphs, tables or infographics? Are any of them being provided as images that need to be recreated or have text rekeyed? Are they simple or complex? Will there be several people needing to review proofs and provide input? Will you be able to provide revisions in the time or number of drafts allotted in the estimate? Do you expect to make a lot of revisions? Will there be a tight turnaround? Do you only need a web- and/or print-quality PDF? Do you need an accessible PDF to allow people with disabilities to read the publication properly? Do you need an ePUB file? As you can see, there are many factors that are taken into consideration when we provide an estimate for publication design. 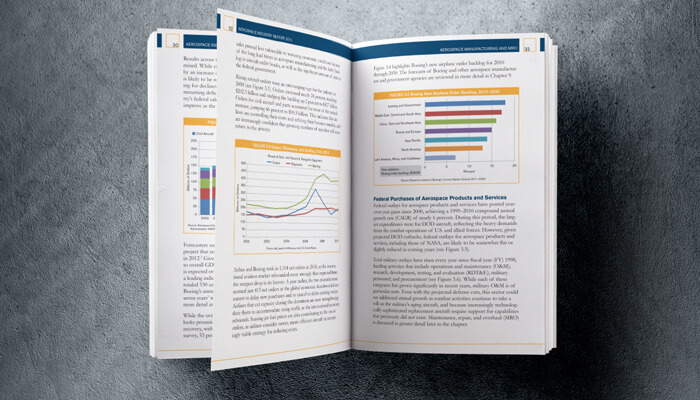 To give you an idea, a small brochure could cost around $800, while a large, complex book with several hundred pages and several hundred charts could be $8,000. An annual report needing custom photography could be $10,000 to $20,000. It all depends… Every publication truly is different. Your organization might think it will save money doing the work yourselves. But it could actually end up costing you more. Here’s what some of those costs could be. Professional designers/firms have the expertise to create publications that are well designed and set up properly. We’ve spent years perfecting the craft. It takes us much less time to do the work because we use the software everyday and we know all that needs to be considered in the process. We have resources for fonts and images as well and know what to consider when using them. Consider how much time you would spend to do that same, which is time spent away from your important tasks. When you send your publication to the printer, if it isn’t set up properly, they will need to correct it. If images are not saved properly, they will need to redo those as well. This will add to your print fees and add time to the schedule, delaying the printing and delivery of your publication. Your publications represent your brand. If there are spelling or grammatical errors, it isn’t easy to read or is shoddily done, it will reflect poorly on your organization. If images are not the proper resolution, they will print poorly. The design needs to not only look good. 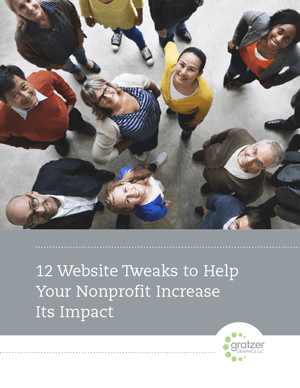 It needs to communicate to your target audience, so that your organization can bring in donations, more members, whatever the goal. Professionals have the proper software to create publications. If you think buying the software and doing it yourself is a good route, think again. No more than accounting software makes you a CPA, simply using professional page layout software doesn’t make you a designer or publications professional. There are a few different ways your organization could open itself up to legal risk—images, fonts and accessibility. If you don’t pay attention to stock photo licenses, you could end up—intentionally or not—violating terms of the agreement (also called the EULA). Some images are intended for editorial use only, some for personal use only. Others may be for a print run of less than 500,000. They all vary. Stock photo companies are on the lookout for their images too. If they don’t think you have a license to use an image, you could get a demand letter for thousands of dollars. If you think it’s safer to use free images instead, think again. Free as in “no monetary cost” does not mean “you may use it.” You cannot use any image that comes up in an online image search. Most are copyrighted and therefore not allowed to be used. By law, every single image is protected as soon as it’s created. If you’re using photos that include people that you, your staff, a volunteer or a photographer took, you have to get releases for each person in each photo. If you don’t, your organization could be sued. If you pay for a certain major software program on a subscription basis, licenses to any fonts you’ve used end at that time as well. You’re expected to keep that subscription active so you’re not in violation of the licensing agreements. If you’ve published an ePUB or distributed a PDF, it’s vital you keep that in mind. Accessibility, also referred to as Section 508 compliance or ADA compliance, is required by law for all electronic publications published by the federal government and for most publications for which your organization received federal funding. When a publication is accessible, it means that people with disabilities can access the information. If your publication is required to be accessible and the file isn’t set up properly, your organization could face legal trouble. Expected to eventually become standard for all governments, businesses and organizations, accessibility is being voluntarily implemented by many nonprofit organizations and businesses. If yours isn’t producing accessible publications, you are alienating your readers who have disabilities. About 20 to 30 percent of our population has a disability or impairment. That’s a lot. When you weigh what your organization will spend versus what it will gain as a result of hiring a professional publication designer/firm, it should seem like a great investment (and it is!). You can be productive and focus on what you should be doing, and we can help your organization get results—and aren’t results what it’s all about?